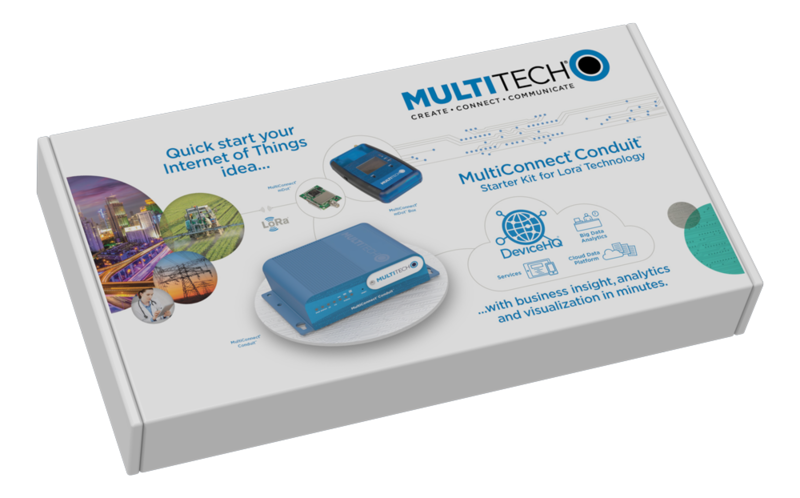 MultiTech understands how difficult and frustrating it can be to get your IoT idea assembled and working properly and has designed the MultiConnect Conduit IoT Starter Kit to greatly speed up and enhance your experience developing with LoRa technology. We’ve reduced the hassle and complexity needed to properly integrate the different elements of any LoRa IoT idea – sensors, gateways, end points, LAN and WAN communications and cloud integration – and get them working together in a functioning LoRa application. 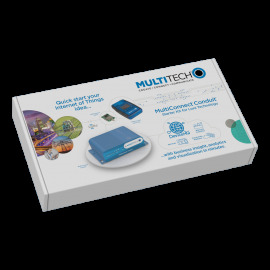 All major components of the MultiConnect Conduit Starter Kit are pre-configured for use with the Conduit platform and select MultiTech cloud platforms and only require simple actions to finish set-up. 868 and 915 MHz for Europe and North America.